Early Imperial Roman Legionaries with Pilum. Citizan warriors who defended and expanded the Roman Empire from 25 BC to 193 AD. 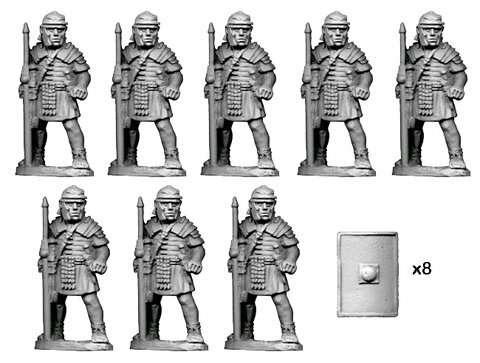 Eight figures per pack with seperate shields.